February. This month you really begin to see the light change again. 7 then 6:30, then 6. In the evenings too; 4:30, 5, then 5:30 and later. You know there is hope; summer is on its way. Those long days providing the hours you need for all the work you can imagine. But February is still winter. What feels like it should be a quiet time of the year is busy. Now with winter farmers’ markets there is no sleeping until 6:30am on Saturday, no taking the day a little slower than you might, there is a new list of things to remember and to bring. We’ve been preparing for lambing to begin too. Savoring the last couple weeks, sleeping through the night, knowing soon a 3am trip to the barn is necessary. And snow; while it brings what we often think of as a blanket, soft and hushed, it also brings, well, snow, measurable in feet this year. Our animals live outside, all year. We do provide shelter for them. 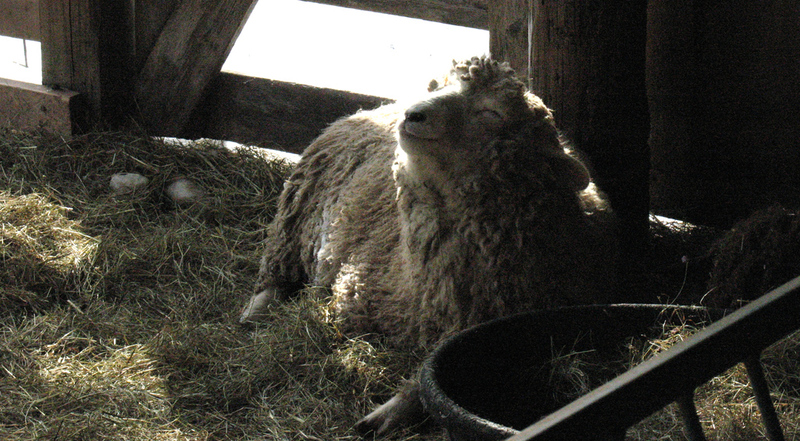 We have a barn in which the ewes have access to at their leisure. 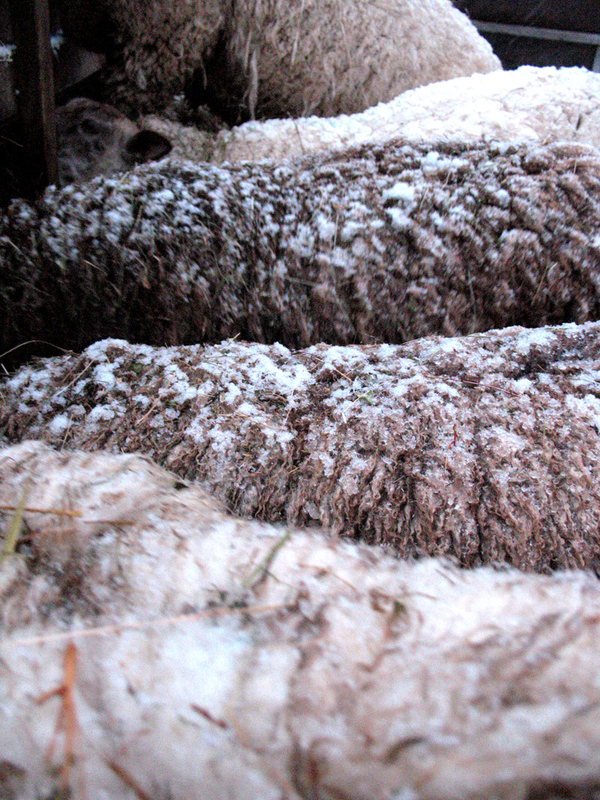 The rams also have a section – we farmers tend to call it a “run-in”. A small shed roof provides coverage for our replacement yearling ewes, but with no sides I would hardly consider it a hotel. And our cows, they’re given two choices – sleeping under the stars or in a grove of hemlock and spruce. Only on the truly brutally cold days with wind whipping from the north or those icy rain storms are they brought back to the west side of the barn. They happily accept. So with snowstorms every weekend as the pattern seems to be I feel obligated to keep paddocks and sections of fields open for our animals so they can continue to live their lives outside. What I find amazing is that when given the choice, our critters will still spend the majority of their time in the weather. I find great amusement with the sheep as they nest into hay pulled from the feeders, hunkered down, their fleece piling up with snow. They look like they haven’t a care in the world. 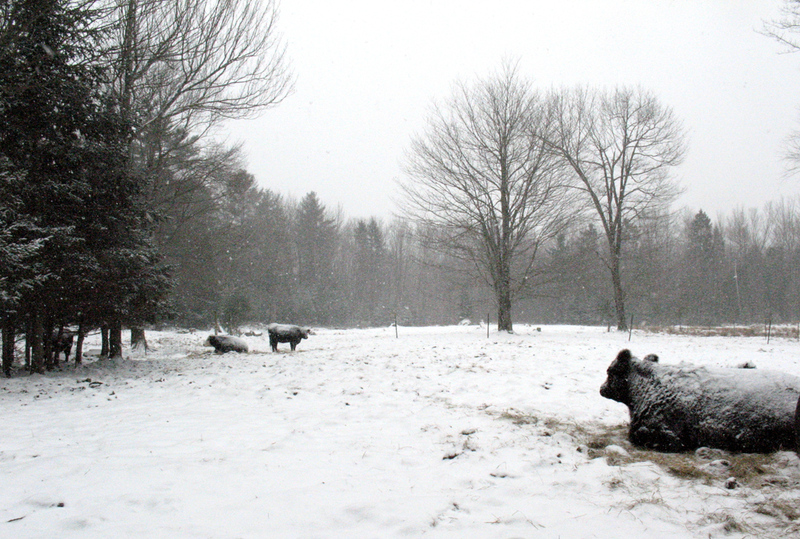 They keep chewing their cud as if they were expecting the snow, maybe being even a little disappointed if it wasn’t. 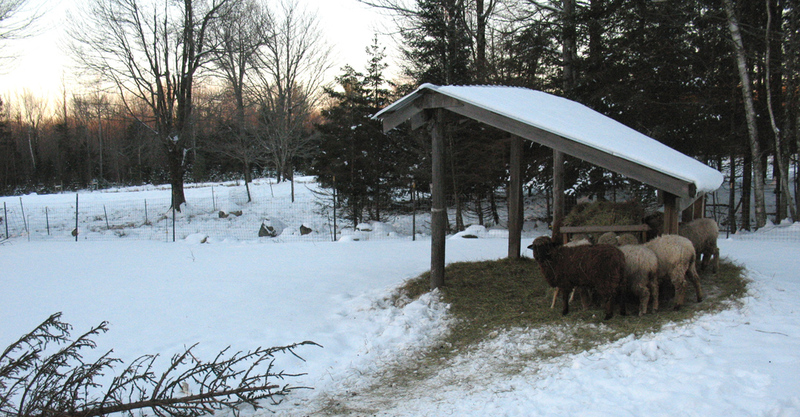 The yearling ewes buck and prance once their paddock is cleared. They still have some of those youthful lamb qualities about them. And those bitterly cold days when the sun is shining and us humans can’t pull ourselves to leave the comfort of the woodstove, the cows can be found laying down using the feeder as a wind block, facing the sun and soaking up all its warmth like giant, living solar panels. The sheep too do the same, as if giving praise to a sun god. February; the off-season for farmers. The calm, slow time of year that hardly is. All that sitting out in the snow and wind, the sun and zero degrees gives our animals a chance to slow down, to rest, and be at peace. I’ll take the quiet the cows and the sheep produce. I appreciate it and stored away for those days that are not so calm, not so quiet.